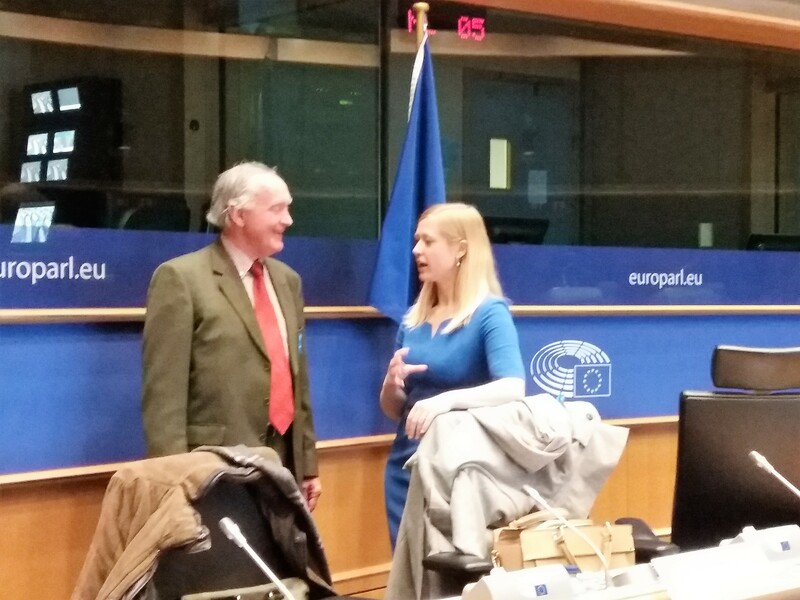 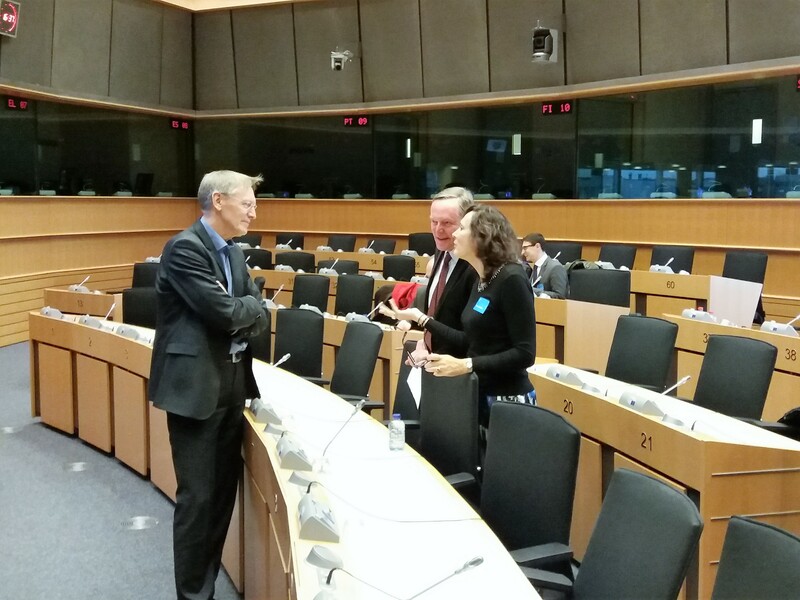 Sirpa Pietikäinen welcomed former EU Commissioner and co-chair of the International Resource Panel Janez Potočnik on March 1 for a lively discussion on how to bring around investors to fund circular economy projects. 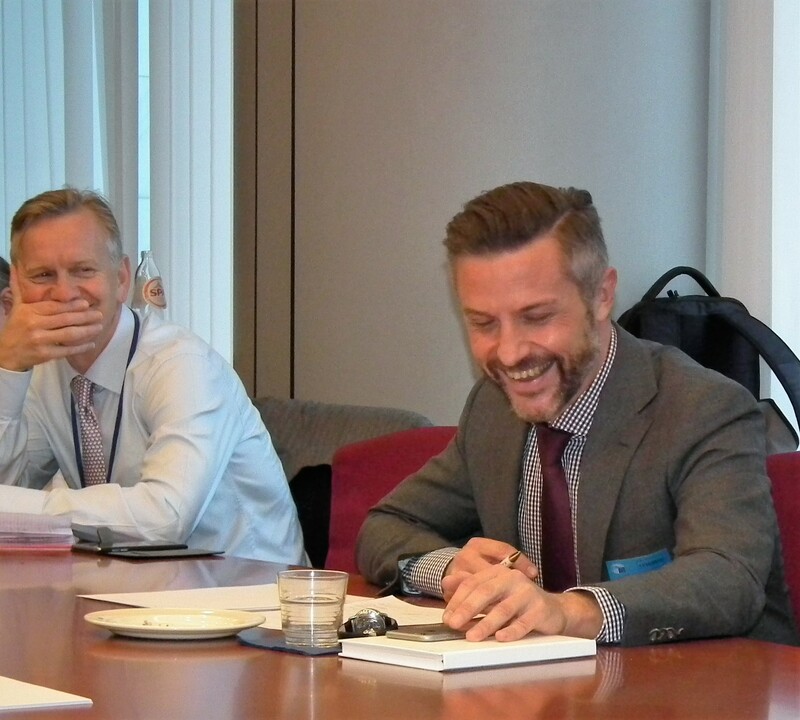 Sirpa and Janez were joined on the panel by Jaap Strengers, who presented SystemiQ’s recent report “Achieving Growth Within”, Marte Borhaug (Aviva), and Gertjan Storm. 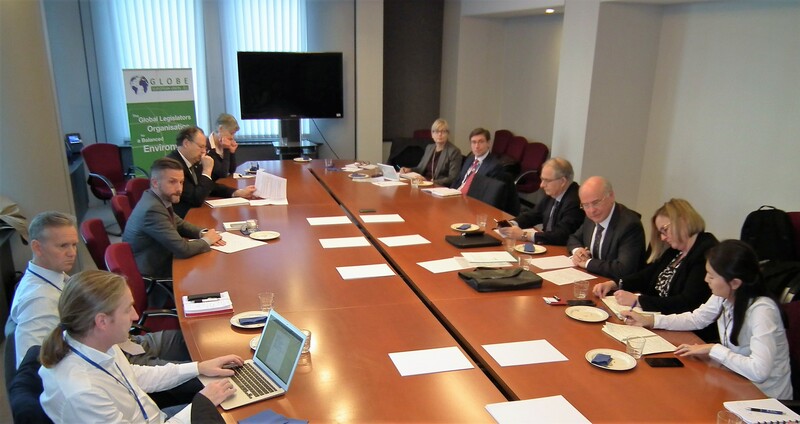 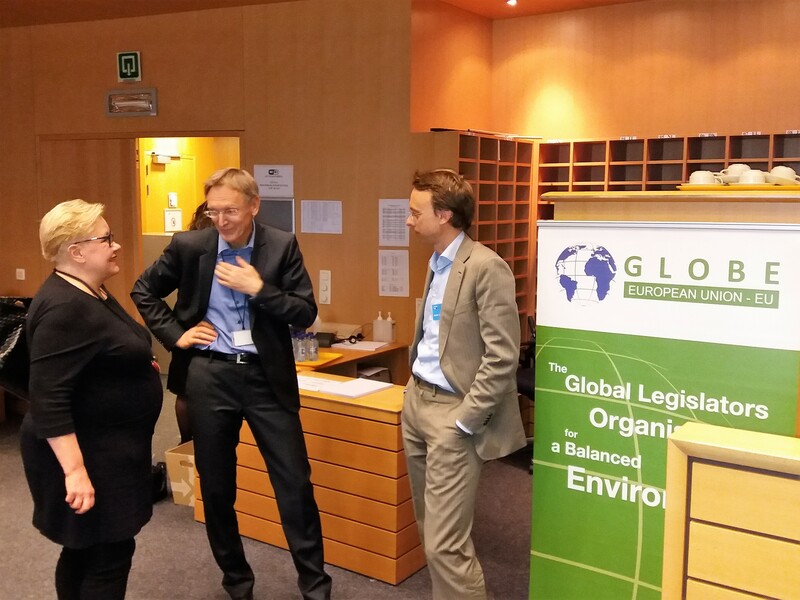 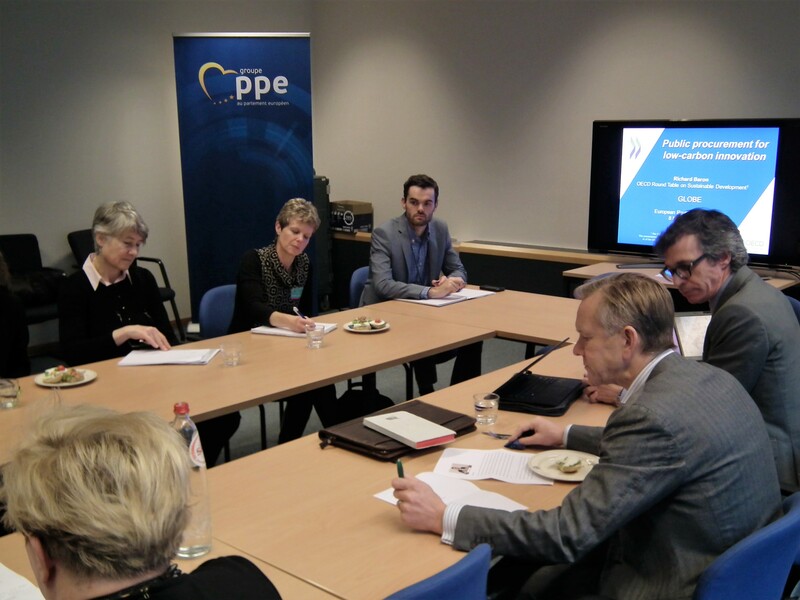 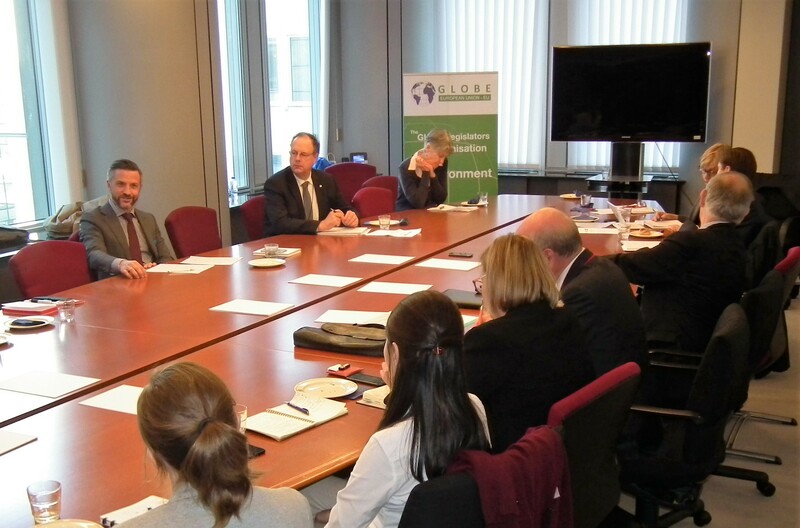 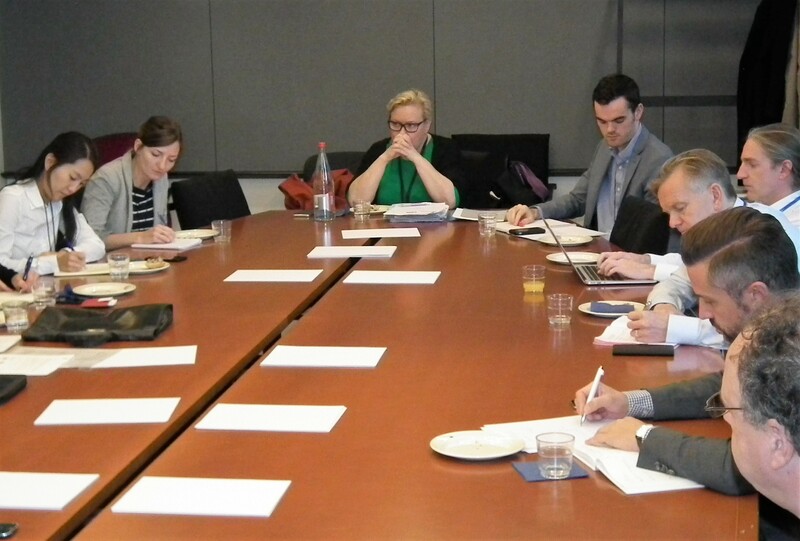 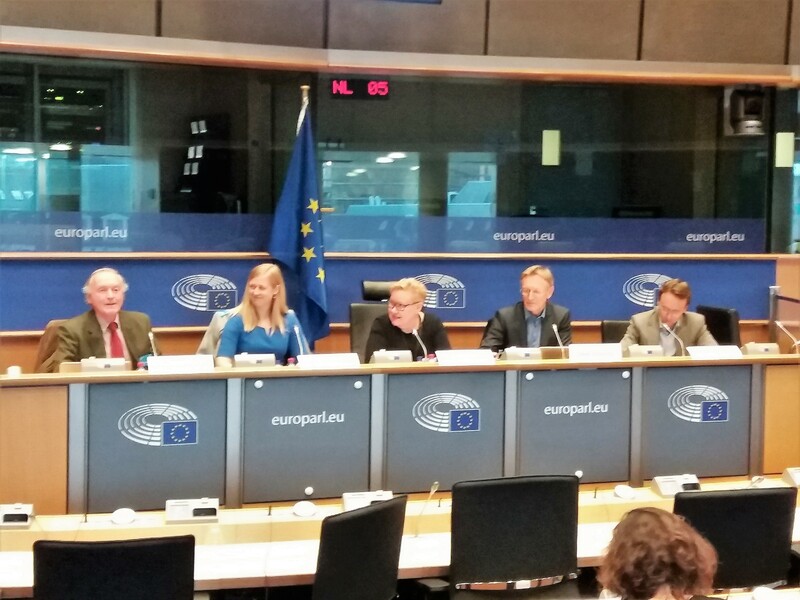 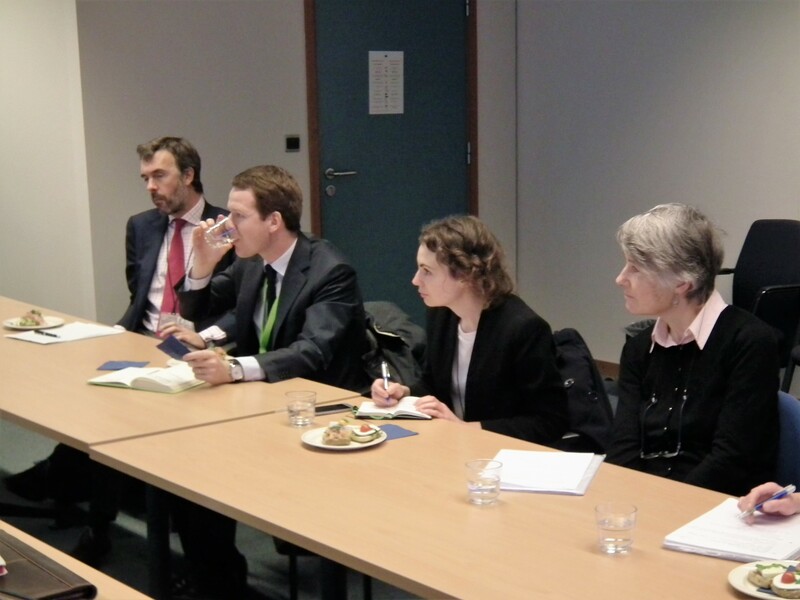 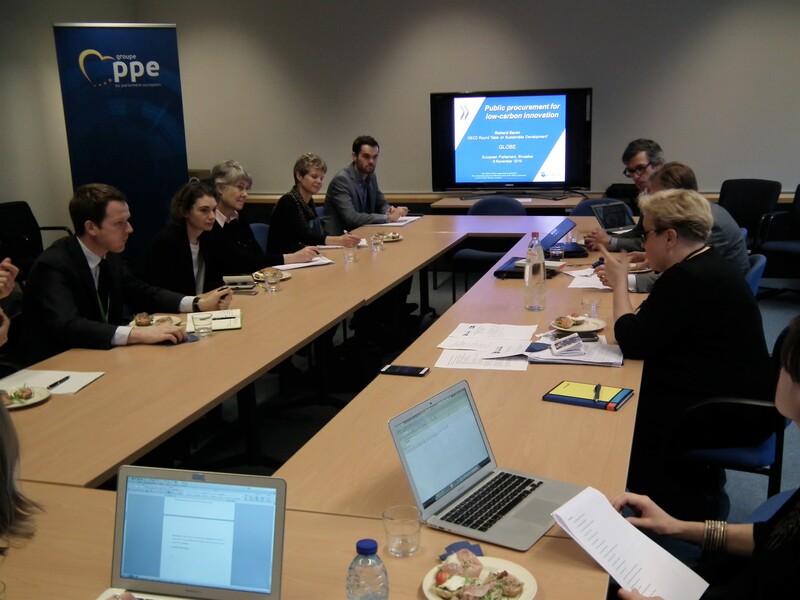 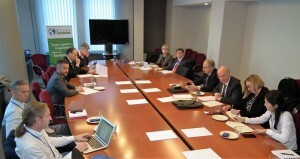 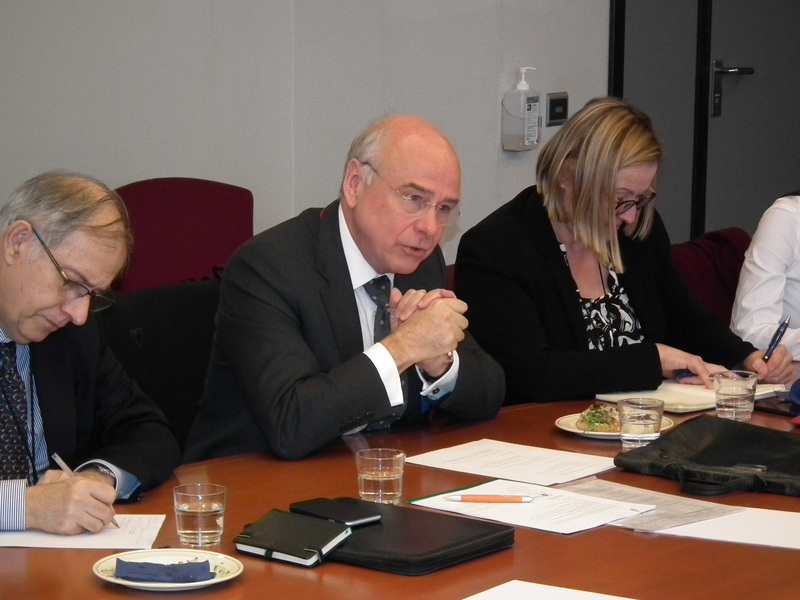 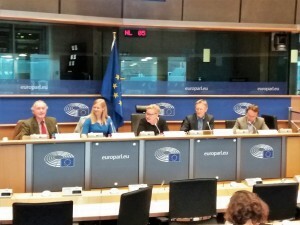 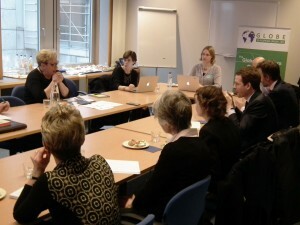 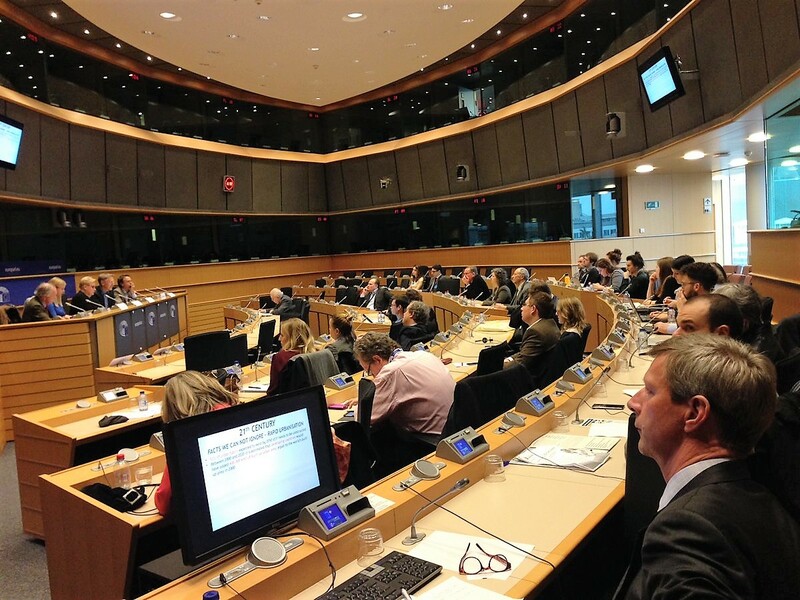 GLOBE EU’s president, MEP Sirpa Pietikäinen, hosted an event on November 8 on Green Public Procurement with guest speaker Richard Baron, principal advisor to the OECD Roundtable on Sustainable Development. 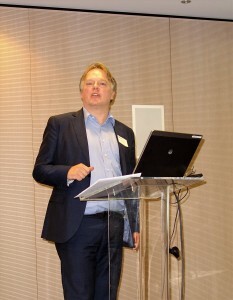 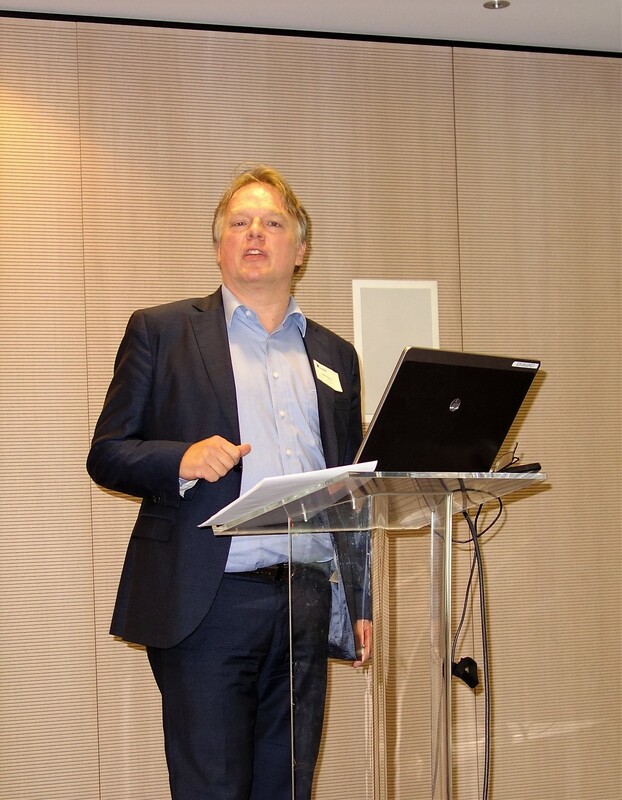 Richard presented a recent OECD background paper on the role of public procurement in low-carbon innovation, which he authored. 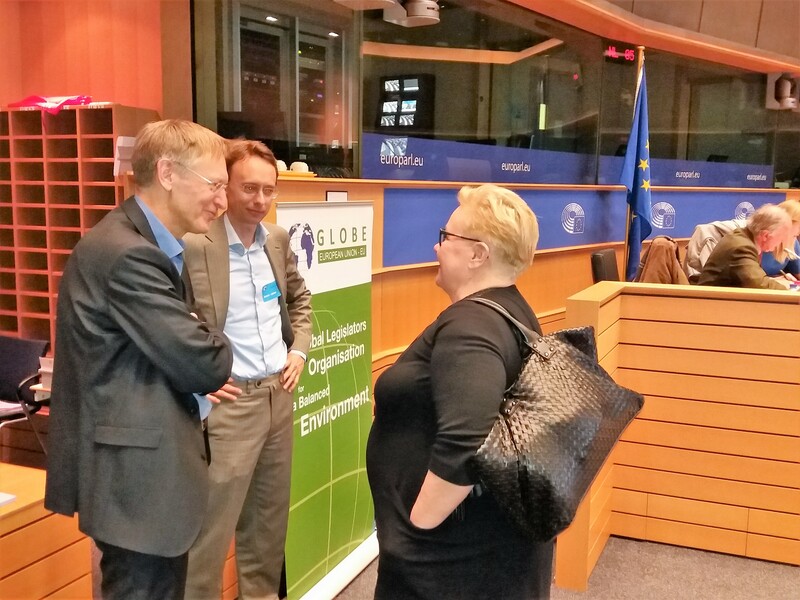 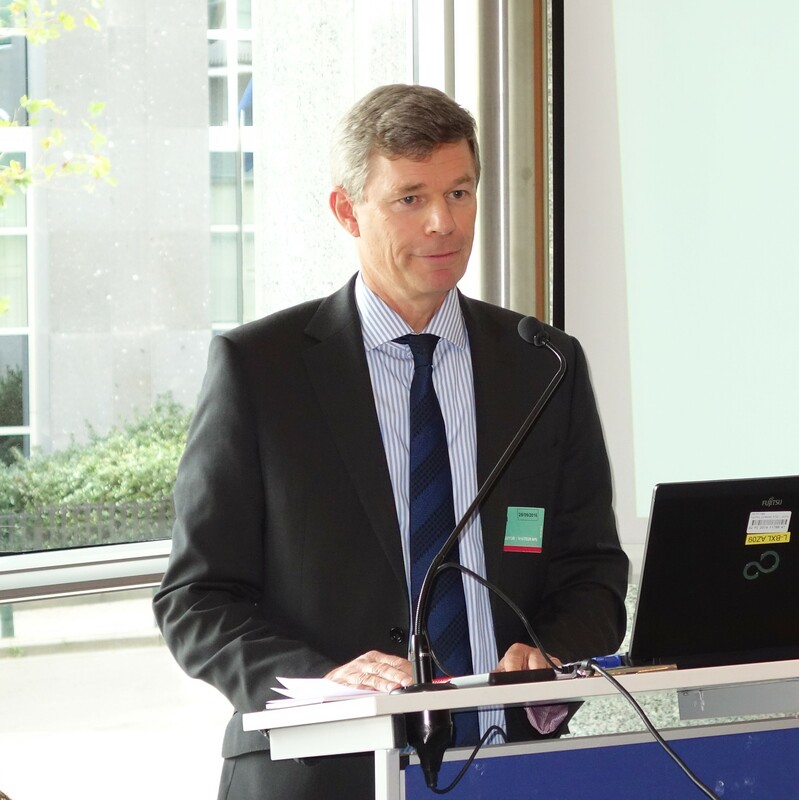 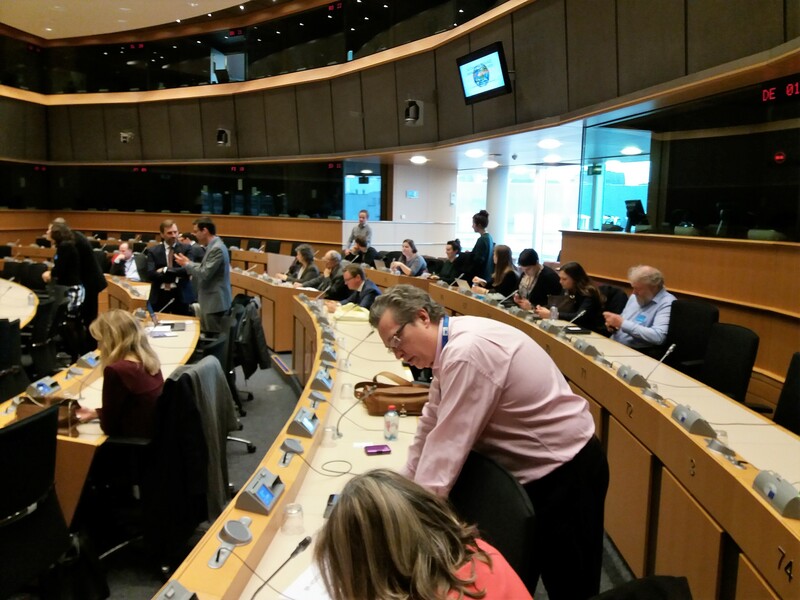 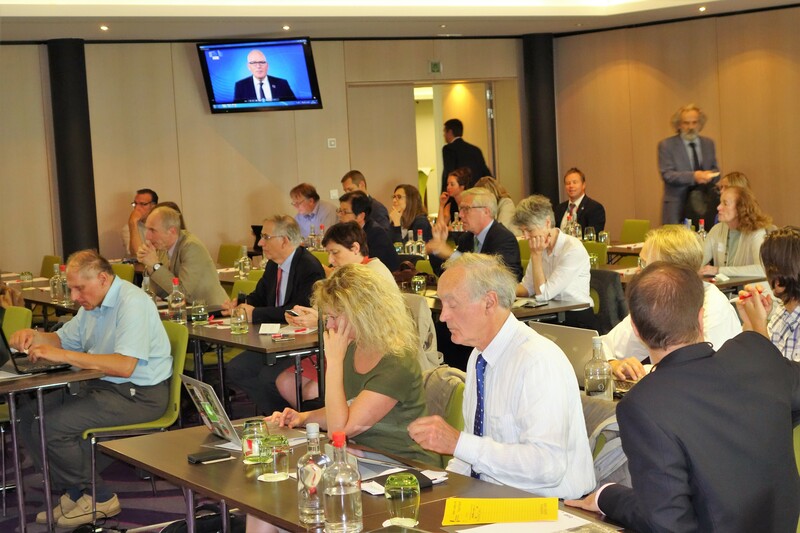 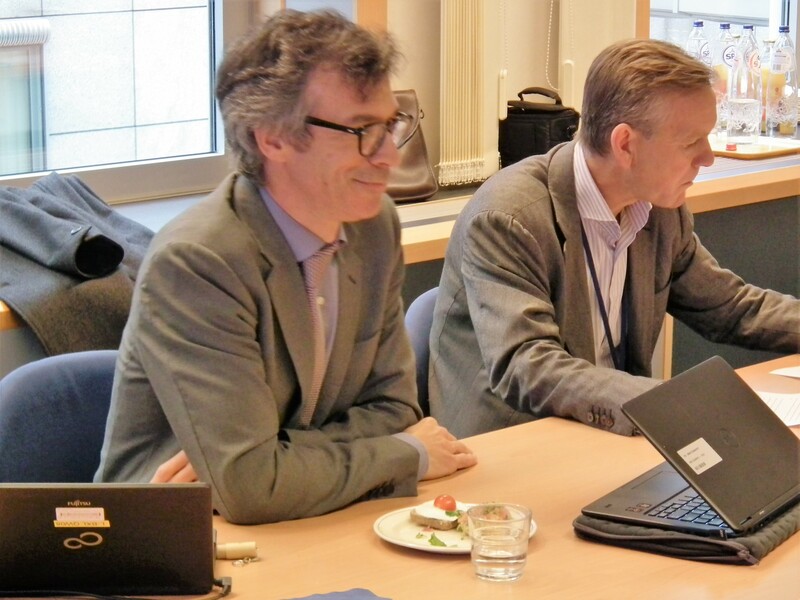 GLOBE EU is grateful to Robert Kaukewitsch (DG ENV) for his participation and comments and to Matilda Axelson (VUB) for writing the event summary. GLOBE EU President Sirpa Pietikäinen hosted another successful “circular” lunch meeting on October 11 with representatives of Bee Group members Dow Chemical and LafargeHolcim. 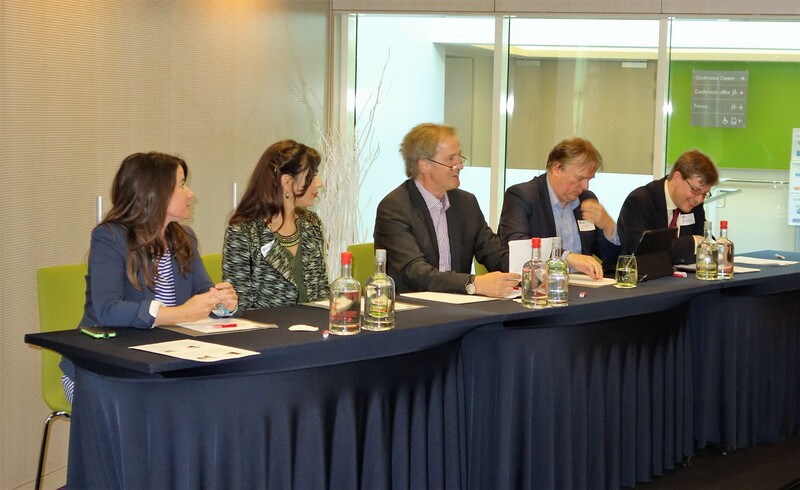 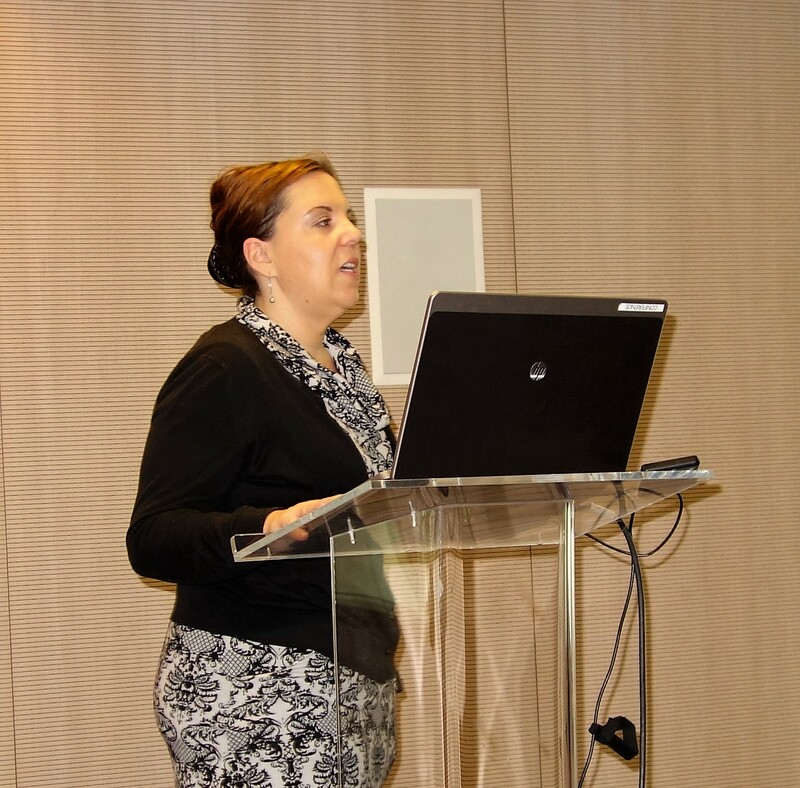 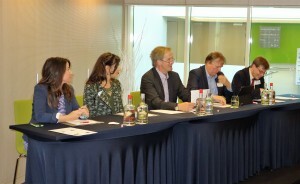 The meeting was dedicated to industrial sectors using waste materials from another sector as input for their production processes (aka industrial symbiosis or industrial ecology). 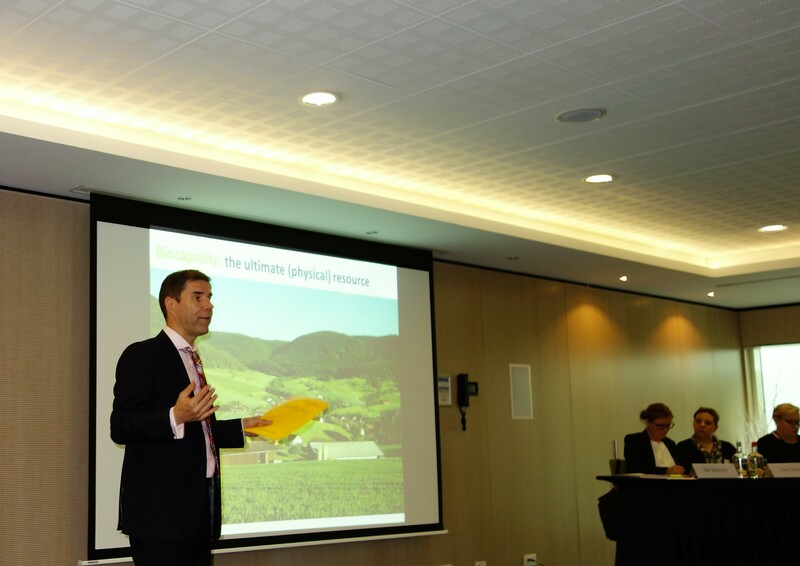 The case studies amply demonstrated how resource efficiency is improved when waste materials are used to substitute virgin feedstock. 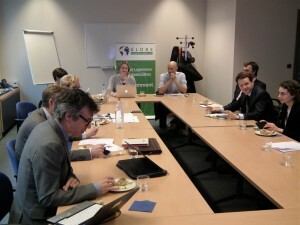 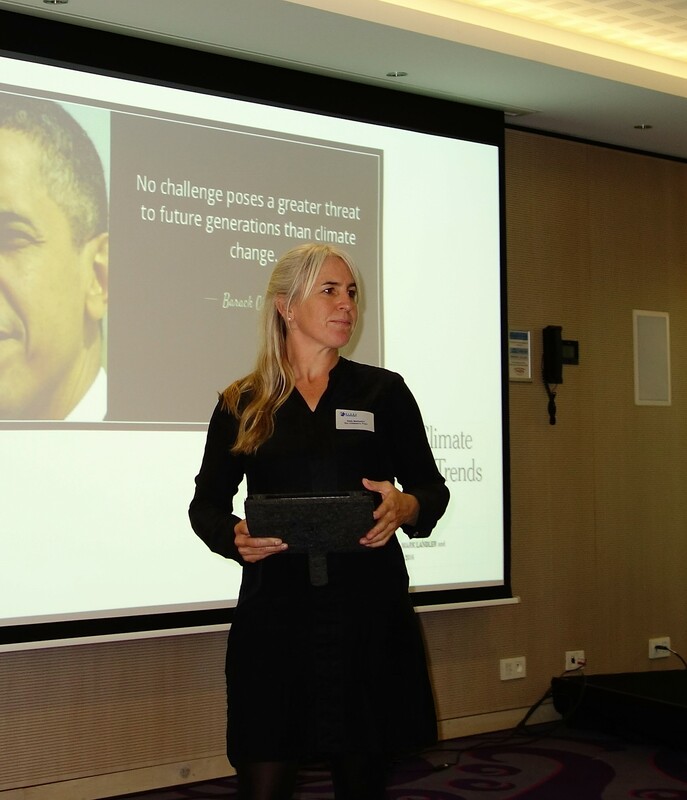 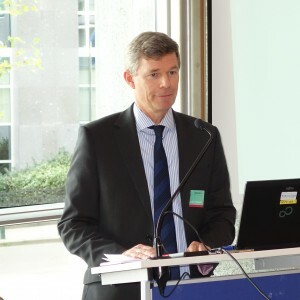 GLOBE EU hosted its annual flagship event marking Earth Overshoot Day on September 28 this year. 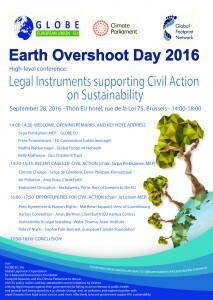 Earth Overshoot Day marks the date when humanity’s total demand on nature exceeds what the earth is able to regenerate in that same year. 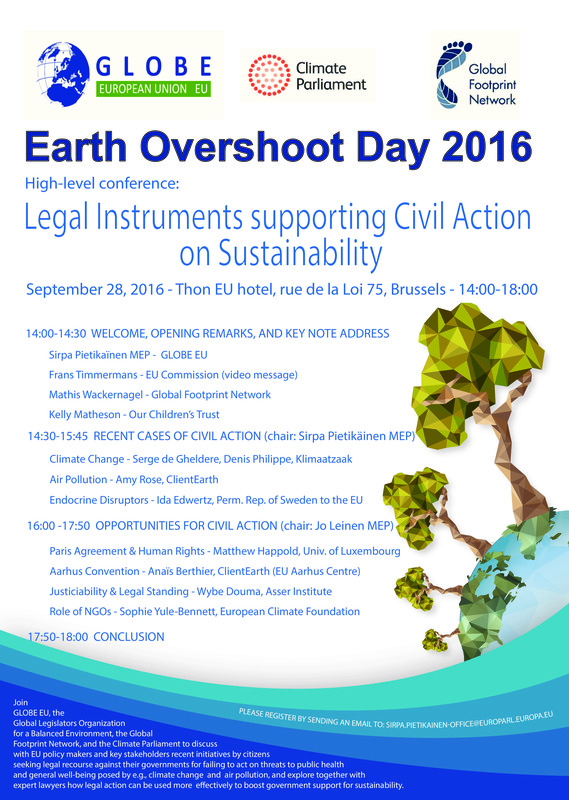 Based on calculations by the Global Footprint Network, Earth Overshoot Day has moved to August 8th this year from early October in 2000. 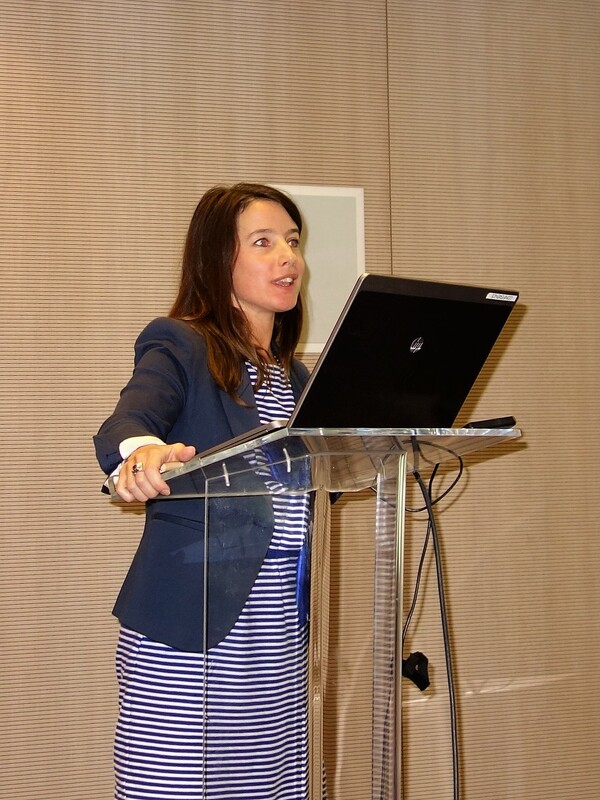 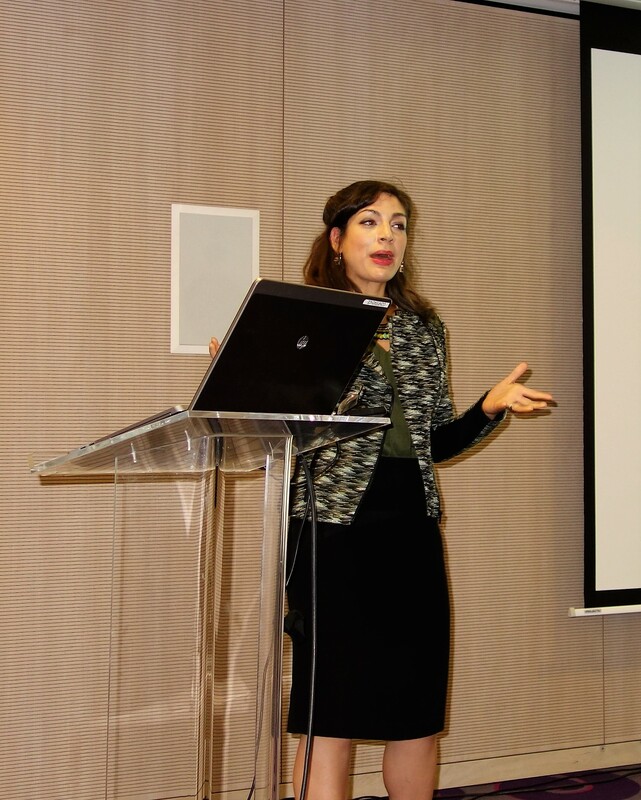 The objective of this year’s conference was to examine the legal instruments available to citizens who want to take action against governments who fail to act to prevent climate change, loss of biodiversity, air pollution, and other threats to public health and the well-being of future generations. 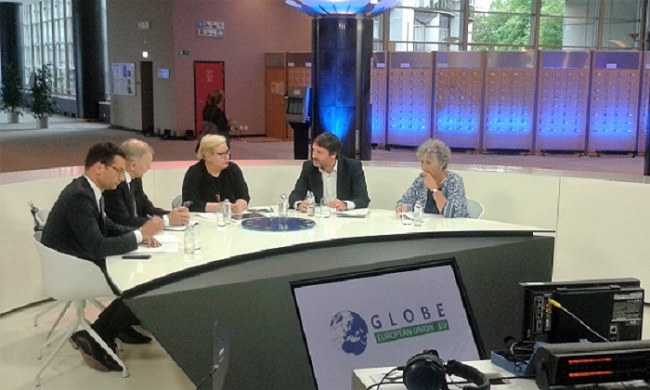 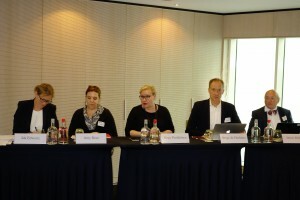 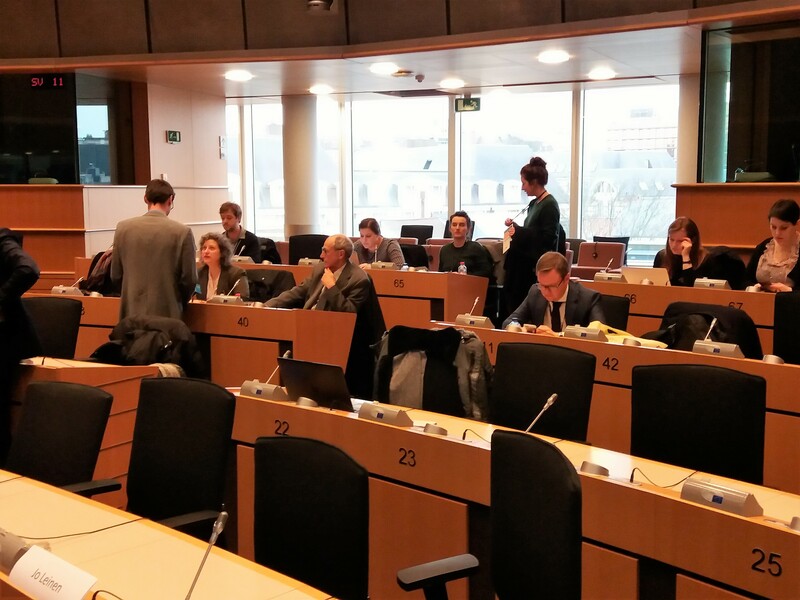 On May 31, GLOBE EU’s President, Sirpa Pietikäinen MEP, hosted an online debate from the VoxBox in the European Parliament in Brussels. The event was part of the Green Week program and organized in association with the European Commission. 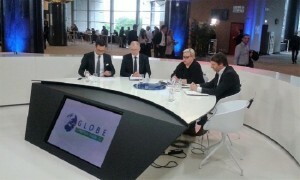 Vytenis Andriukaitis, European Commissioner for Health and Food Safety, joined the discussion, as well as GLOBE EU member Margrete Auken MEP; Hans Herren, President and CEO of the Millennium Institute; Luc Bas, Director of the IUCN European Regional Office in Brussels; and Christiaan Prins, Director European External Affairs at Unilever.